In a move that would have given Activision independence from parent company Vivendi, the Delaware Chancery Court is halting the transaction. 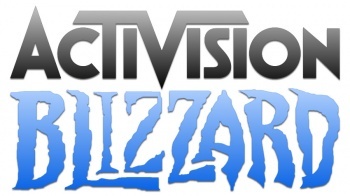 Back in July, Activision Blizzard announced a plan to buy back over 400 million shares from its parent company Vivendi. CEO Bobby Kotick and Co-Chairman Brian Kelly would buy 172 million shares, but a shareholder sued Activision on the allegation that the buyback was a power grab by Kotick. The Delaware Chancery Court in Hayes v. Activision Blizzard, Inc. has halted the transaction unless it is modified on appeal or a stockholder vote of non-Vivendi stockholders approve the transaction. Activision Blizzard stated in a press release that it "remains committed to the transaction and is exploring the steps it will take to complete the transaction as expeditiously as possible." In the current transaction plan, Kotick and Kelly would provide the Activision executive team with a large number of shares at a discounted price of $13.60 per share. At the moment, Vivendi holds the majority of shares. The buyback plan came as a result of Vivendi trying to force Activision Blizzard to pay a massive cash dividend to shareholders, 61 percent of which are owned by Vivendi, putting a lot of cash into Vivendi. The French conglomerate has been trying to remake itself by selling a stake of its telecommunications. Forbes contributor Daniel Nye Griffiths speculated that the easiest method to resolve the issue would be to settle with Hayes.